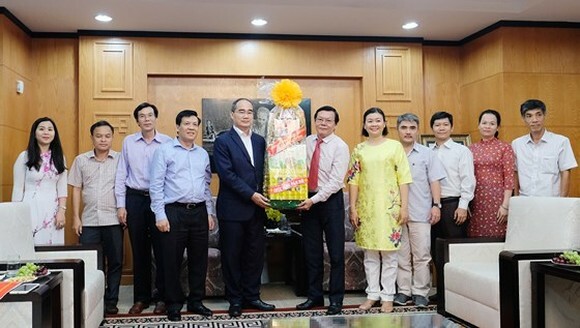 Politburo member, secretary of HCMC Party Committee Nguyen Thien Nhan led a delegation of the city Party Committee to visit and send New Year greetings to Sai Gon Giai Phong (Liberated Sai Gon) Newspaper on the first day in Year of the Pig on February 5. 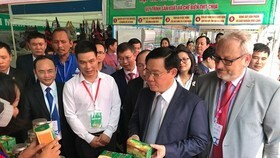 Summarizing outstanding activities of Sai Gon Giai Phong (SGGP) Newspaper in 2018, Editor-in-chief Nguyen Tan Phong said that thanks to the city Party Committee’s attention and assistance, the unity and unaminity of SGGP staff and the support of readers, the newspaper overcame many difficulties and obtained quite good results in three missions comprising propaganda information, economics and social program. Implementing the major mission of propaganda, the newspaper continued closely following instructions by the city Party Committee and focusing on popularizing the city’s policies. 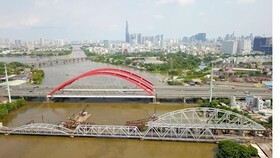 Specifically, Sai Gon Giai Phong Newspaper quickly and enduringly propagandised the National Assembly’s Resolution 54 on specific mechanism for HCMC development, opened the colunm specializing in igniting and promoting residents’ creativeness to develop HCMC into a smart city and build innovative district project. 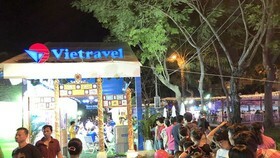 Aside from that, Sai Gon Giai Phong continued well carrying out many branded social programs which have been organized for the last tens of years such as Vo Truong Toan awards, Good Essay-Good Writing competition, Golden Ball Award and Favourite Vietnamese Brands Award. On the occasion of the Lunar New Year, SGGP mobilized nearly VND1 billion (US$43,000) to take care of the poor in outskirt districts and poor patients treated at hospitals. 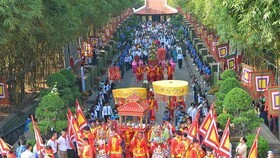 Entering the New Year, Editor in chief Nguyen Tan Phong said that SGGP will further propagandize the city’s year theme of breakthrough in administrative reform and implementation of Resolution 54, mark the 50th anniversary of implementing the testament by President Ho Chi Minh towards the 11th congress of the city Party Committee. The newspaper will continue renewing professional operation to promote the accuracy and orientation in information, he added. Being in charge of SGGP Hoa Van (the Chinese language edition of SGGP), deputy editor-in-chief Nguyen Ngoc Anh said that the edition has well kept orientation for the last many years with the stable circulation, the life of the staff of the edition has been improved. 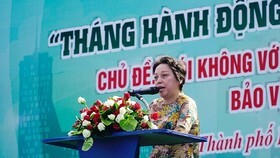 Appreciating contributions by SGGP, Secretary Nguyen Thien Nhan affirmed that in 2018 the newspaper did accompany the city and its information has been more political and diffused than before. Through SGGP, information about the first year of implementing Resolution 54 of the NA, mid term estimation, smart city and innovative district projects has been highlighted. Both good and not good sides were made clear. He agreed with the newspaper’s determination of its major reader group of grassroots cadres and retirees, saying the clear determination better propagandize the party’s policies and the city’s leadership to grassroots levels. Mr. Nhan hoped that SGGP will continue reporting good sides and those in need of better implementation to materialize Resolution 54 and create administrative reform breakthrough. In 2019, communes and wards must announce the ratio of residents satisfied with their service when doing administrative procedure so SGGP should introduce wards and communes well performing their tasks and those having lot of creativeness in serving residents. 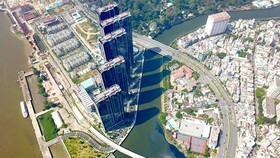 Marking the 50th anniversary of President Ho Chi Minh’s Testament, he urged SGGP to study forms rather than its current operations to boost the attachment between the city and the late president’s hometown. 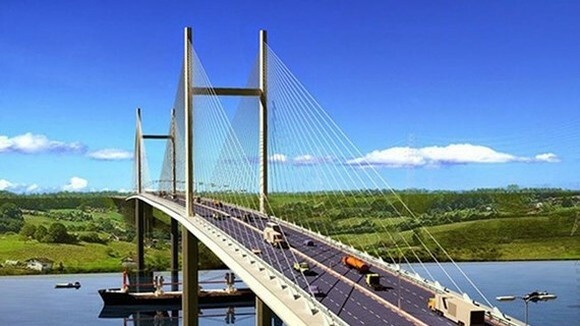 Specially, he directly ordered SGGP to prepare a string of articles reviewing implementation of the 10th Party Committee Congress Resolution for the last four years in the city. 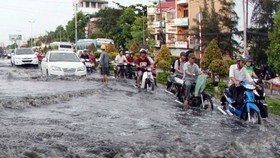 He wished SGGP to speed up, renew and accompany the city’s innovation contributing in HCMC’s acceleration in 2019. On the same day, the city party leader visited HCMC Television, Voice of HCMC, Tuoi Tre (Youth) Newspaper, Nguoi Lao Dong (Laborer) Newspaper and the Website of HCMC Party Committee.